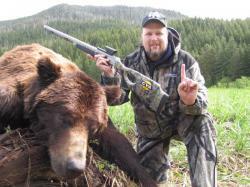 Steve West, of Steve’s Outdoor Adventures TV, reported to the staff of CVA that he has taken what should be a new muzzleloader world record grizzly bear with his CVA Accura V2 muzzleloading rifle. Steve shot the bear in British Columbia on June 1st, but just reached civilization on June 9th where he was able to report the kill via an email. 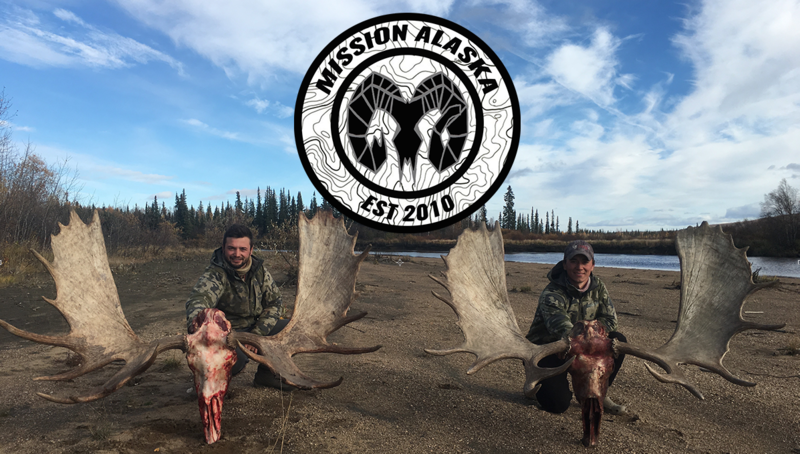 “I booked and planned this hunt to specifically go after the muzzleloader world record. I had the right guide, right area, and, as it turns out, we found the right bear,” West reported in the email. Apparently, the right gun, bullet and propellant load also played a role. West had loaded his .50 caliber CVA with a 405 grain PowerBelt AeroTip bullet and 150 grains of IMR White Hots pelletized propellant, which dropped the bear in his tracks at a distance of 50 yards. The bruin green scored at 26 and 2/16ths inches, which easily eclipses the old world record of 23 and 2/16ths. CVA, a division of Blackpowder Products, Inc. and America’s #1 selling muzzleloading brand, offers a wide array of innovative hunting products – all at unmatched values. The company’s USA headquarters is in Duluth, GA, which handles all distribution. The guns are made at BPI’s ultra-modern, state-of-the-art manufacturing facility located in Northern Spain, a region rich in European gun-making heritage. BPI is an industry leader in muzzleloading rifles and accessories, hunting rifles, hunting and shooting accessories and shooting components. BPI markets various trusted brand names including CVA®, PowerBelt Bullets®, Bergara Barrels®, Quake® Hunting Accessories and DuraSight® Scope Mounting Systems.